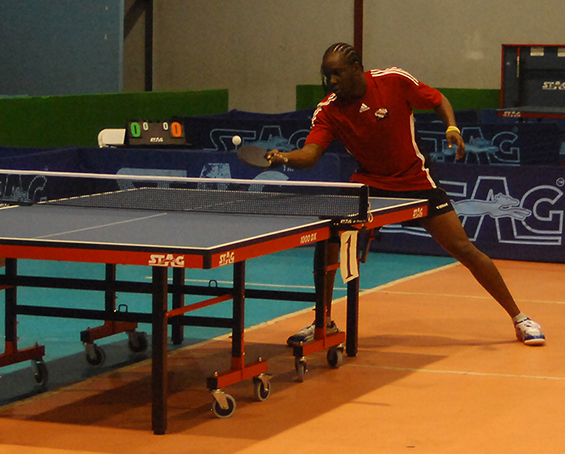 A few weeks ago, Guyana’s National Table Tennis delegation produced a strong-willed showing at the 60th Caribbean Table Tennis Federation (CTTF) Senior Championships in Jamaica. They returned with an inspiring haul where they captured two gold medals, three silver and five bronze, which prompted President of the Guyana Table Tennis Association (GTTA), Godfrey Munroe, to describe the effort as one of the most impressive showings from a local contingent. The contingent, however, is now focused on the 61st edition of the tournament on home soil, scheduled for April 2019. It will act as a qualifier for the Pan American Games. The team’s success, however, seems to be premised on the continuity of the selection policy which has given players the opportunity to develop. At the same time, that togetherness has inadvertently formed a strong bond among the players who are all aiming to not only qualify for the 2019 Pan Am Games but also possibly, the 2020 summer Olympics in Tokyo. “In any team sport, once everyone is on the same page, it makes it that much easier to achieve a certain goal,” Team Leader, Christopher Franklin, who served his way to an individual singles medal, revealed. 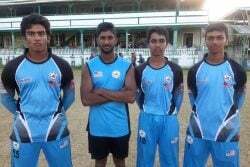 He described the team’s rollercoaster ride where they weathered the tough periods, including a poor showing during the 2017 CTTF Championships. 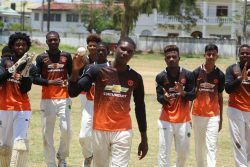 “And we all share the same goal where we wanted to use this (Caribbean championships) to bring back medals and use the other tournaments as stepping stones to continue to give the best over ability,” Franklin told Stabroek Sport. Laying out his blueprint for the team’s anticipated grueling, yet momentous 2019 agenda, Franklin was bold in highlighting what is needed, some of which has to do with the team’s preparedness for what’s to come. “Moving forward, the team is still a unit and we are all one. We have to do a few things different in terms of our training and opportunities given. I’ve already spoken to the President about this because we need to be prepared to capture that gold medal in Guyana, we need to, it’s our ultimate goal, and we are focused on it,” he said of the team’s ambitions of capturing El Dorado in Georgetown. The other members of the men and women’s team includes Shemar Britton, Nigel Bryan, Joel Alleyne, Chelsea Edghill, Trenace Lowe, and Natalie Cummings and Priscilla Greaves.